Each year the NCAA Division I men’s basketball tournament provides an opportunity for players to breakout on a national stage. College basketball legends like Christian Laettner, Earvin “Magic” Johnson and Shabazz Napier have all etched their names in history with their performances at the big dance. This year’s tournament will be no different. Here are five players that you need to watch this March as they look to etch their names in college basketball history. Regardless of the controversy surrounding his recruitment and his head coach, Sean Miller, Ayton has provided fans a good reason to stay up late to watch the Arizona Wildcats all season. The first-year phenom has dominated the PAC-12, dropping 20.3 points and grabbing 11.5 rebounds in conference play. He also averages just under two blocks per game, but the advanced stats are what truly demonstrate his value. Ayton is second in the country in player efficiency rating — a stat that measures a player’s positive accomplishments on a per minute rating — at 33. He is also third in offensive win shares — an estimate of a player’s offensive contribution in the win column — at 7.5. Only Stanford and Connecticut have been able to contain him, and few programs pack the necessary height and depth to deal with a player as talented and forceful as Ayton. After missing a majority of the 2016-2017 season with a stress fracture in his left leg, Bates-Diop has been the most influential factor in the Buckeyes’ resurgence this season. The athletic wing averaged 19.4 points and 8.8 rebounds per game en route to winning Big Ten Player of the Year honors — becoming the first Ohio State player to claim the award since Evan Turner in 2010. What has been most impressive about Bates-Diop’s game is his ability to get offensive rebounds, grabbing a career-high seven against Robert Morris in the season opener. None were more important than his game-winning putback Feb. 7 over No. 3 Purdue. Bates-Diop has added crucial scoring and hustle to an impressive Buckeye team under first-year head coach Chris Holtmann. He seems tailor-made for the professional game, and his athleticism and length will help a rested Ohio State team on a possible deep tournament run. Many casual college basketball fans have just recently been introduced to Sexton — a first-year guard — following the SEC tournament. Sexton cemented his place in the national spotlight when he went the length of the court for a buzzer-beating floater on Texas A&M and dropped 21 in a half against arch rival Auburn in Alabama’s two wins in the conference tournament. But this performance is nothing new, as the first-year point guard has been dazzling opponents all season. His coming-out party was a 40-point outburst against Minnesota, where he shot 12 of 22 from the field and 4 of 7 from beyond the arc. He may have more highlight plays than any player over the last few weeks, but Sexton still has some chinks in his armor. He has shown a tendency to defer offensively and has shot inconsistently from a long range, especially against inferior opponents like UCF and Ole Miss. This likely won’t be the case in the tournament. Look for Sexton’s athleticism and scoring ability to shine on the biggest stage. Brunson was a first-year role player on Villanova’s 2016 National Championship team. Two years later, he has turned into the Wildcat’s veteran leader and a Naismith Award finalist. The junior combo guard is averaging 19.4 points per game and just under five assists while shooting 53.1 percent from the field. He has also vastly improved his long ball, knocking down a scorching 41.3 percent from 3-point range. Brunson can score from virtually every spot on the floor and is an exceptional slasher with a polished post game for a guard. 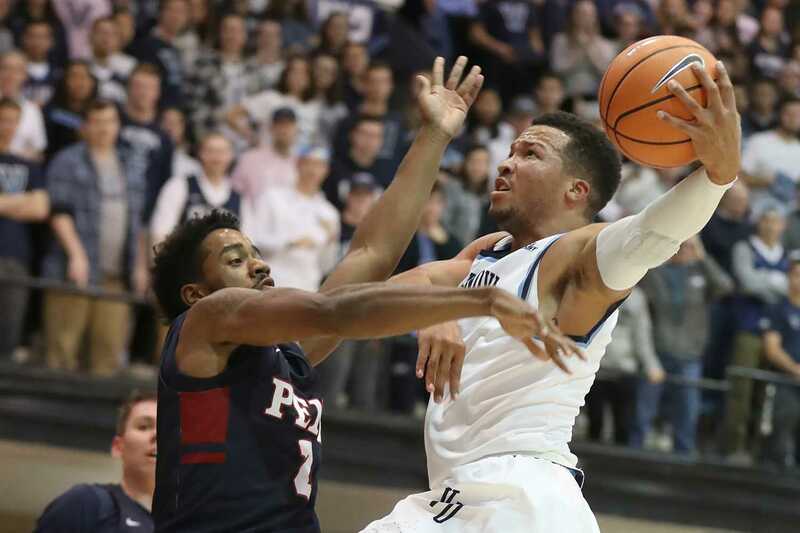 His growth as a leader has been a point of emphasis from head coach Jay Wright, who acknowledged that Brunson is the most mature player on the Villanova squad. Upperclassman leadership can be a game changer in March, and Brunson will shine when the Wildcats need him to. Paired with fellow First Team All-Big East player Mikal Bridges, Brunson is a dynamic offensive threat that has the experience and playmaking ability to get Villanova back to the Final Four for the second time in three years.